Set just 100 yards away from Levante beach, a popular spot with tourists, the Hotel Avenida Benidorm is suited to couples and families with children who want a relaxing time in the sun. Facilities at the hotel include a buffet-style restaurant, a swimming pool with a pool bar, a solarium terrace, a gym and a jacuzzi – plus an entertainment programme with live shows during the day and evening. 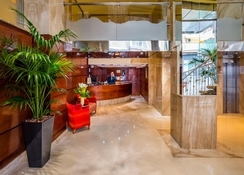 The guest rooms at Hotel Avenida Benidorm are available as Single and Double Rooms and make for a comfortable stay with quality amenities including free Wi-Fi, air conditioning in all rooms and a location close to the main sights in Benidorm. 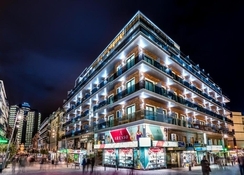 The Hotel Avenida Benidorm is perfectly matched for a romantic break away or family holiday to experience everything in this popular tourist town. The hotel is located in the centre of Benidorm and it is only 100 yards away from the nearest beach. You can also easily get to the main spots on the town from this hotel which includes the Plaza Mayor Square (0.1 miles), Aqualandia Water Park (1.9 miles), Terra Mitica Theme Park (2.4 miles) and several golf courses. There is also a casino just over a mile away while the Alicante International Airport is 29 miles from the hotel. The Hotel Avenida Benidorm has modern and bright rooms for solo travellers as well as couples and families. Guests can choose from a variety of Single Rooms, Double Rooms and Twin Rooms. All the rooms at this hotel have amenities including air conditioning, satellite TV as well as a mini bar. Guests can avail of the delicious buffet breakfast that’s available at the hotel and there is a buffet style lunch and dinner option too. The snack bar has a selection of light meals while there is a main bar as well. There are lots of eateries in the surrounding area as the hotel is located just off the Levante Beach, so you’re sure to find something for everyone when hunger strikes. 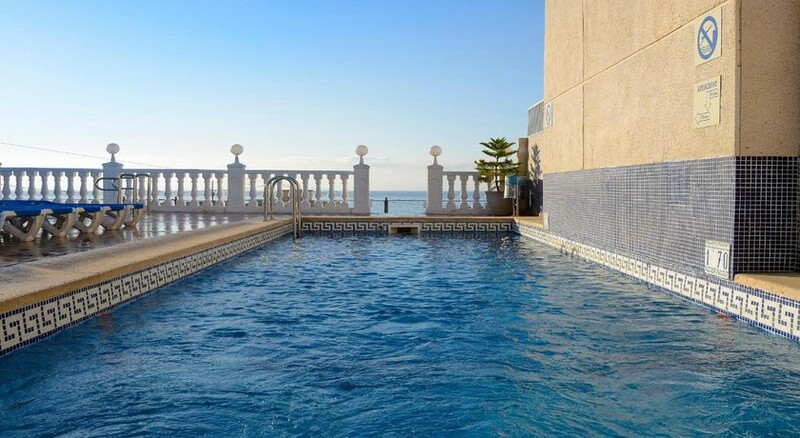 There is a rooftop pool at the Hotel Avenida Benidorm which is also heated during the winter months, toasty! Guests can also use the on-site gym and there is a sauna at the hotel as well. Golfers can play on either the Las Rejas Golf Course or Villaitana Golf Course, both of which are only a few miles away and within close proximity to the Levante Beach, so you can enjoy a range of exciting watersports. Room service: 10.00 a.m. to 10.00 p.m. Stayed at hotel many times.we feel the standards are slipping.the food is not as good and the rooms need upgrading.